(РУС) Совместная постановка с "Балетом Сюзанн Фарелл"
The Suzanne Farrell Ballet (USA) and Theatre Ballet Moscow present their co-project “One-act ballets”. Within the frames of the evening The Suzanne Farrell Ballet, the Kennedy Center’s own ballet company, together with Theatre Ballet Moscow in February 2015 will perform George Balanchine’s Monumentum Pro Gesualdo and Movements for Piano and Orchestra. Also the evening program include divertissement for Idomeneus by George Aleksidze and ballet by Paul Mejia Violin concerto. Ms. Farrell, one of Balanchine’s most celebrated muses, danced with New York City Ballet from 1961-1969 and 1975-1989. Over the years, she originated 23 roles in Balanchine ballets and her repertory eventually reached some 110 ballets. She has received numerous awards, including the 1976 Dance Magazine award, a 1985 Emmy Award for her performance in Eight by Adler, the 1988 New York State Governor’s Arts Award, the 2003 National Medal of the Arts, and the 2005 Kennedy Center Honors. The documentary, Suzanne Farrell: Elusive Muse, received an Academy Award® nomination for Best Documentary, airing on PBS and in theaters across the United States. Since the fall of 2000, Ms. Farrell has been a tenured professor of dance at FSU in Tallahassee. She also stages Balanchine works throughout the world for the George Balanchine Trust. Under the Artistic Direction of George Balanchine’s most celebrated muse, The Suzanne Farrell Ballet continues to flourish as the Kennedy Center’s own ballet company in Washington, D.C. With her deep, inimitable insight into the Balanchine canon, Ms. Farrell carries forth his enduring legacy, sharing his profound vision and influential works with world audiences. More than 65 Balanchine works now stand in the company’s repertoire, including the iconic ballets Agon, Apollo, Mozartiana, Episodes, Liebeslieder Walzer, Prodigal Son, Serenade, and Swan Lake. Several were originally created on Ms. Farrell, and she owns the exclusive restaging rights to three of them: Don Quixote, Meditation, and Tzigane. Others include Chaconne, Slaughter on Tenth Avenue, Movements for Piano and Orchestra, and Diamonds from Jewels, which the company performed in full for its 10th anniversary in 2011.Additionally, Ms. Farrell’s own program “The Balanchine Couple,” which she scripted and performs or narrates, highlights landmark pas de deux from his body of work, while through her Balanchine Preservation Initiative, she has restaged more than a dozen rarely performed or “lost” ballets, including Ragtime, Divertimento Brillante, Variations for Orchestra, and Pithoprakta. The company’s repertoire also includes works by two of her other mentors, Jerome Robbins and Maurice Béjart. What began in 1993 as an invitation from the Kennedy Center—asking Ms. Farrell to lead a series of master classes for local ballet students—has grown to become one of the Center’s crown jewels in its educational and performance offerings. The three-week summer intensive Exploring Ballet with Suzanne Farrell now attracts students from all around the world. The company has performed annually at the Kennedy Center since 2001, mounted numerous national tours, participated in the Jacob’s Pillow Dance Festival the first annual Gettysburg Arts Festival, Fall for Dance at New York City Center, and the Kennedy Center’s own Ballet Across America. Internationally, the company has performed at the Edinburgh International Arts Festival, the National Theater for Opera and Ballet in Sofia, Bulgaria, and the Royal Opera House in Muscat, Oman. Artistic partnerships include collaborations with The National Ballet of Canada (Don Quixote), Cincinnati Ballet (Chaconne), Ballet Austin (Episodes), the Bulgarian National Ballet (Agon), and The Sarasota Ballet (Diamonds). 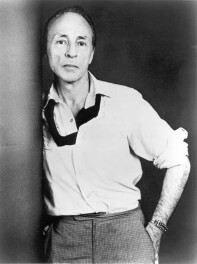 George Balanchine is a foremost choreographer in the world of ballet, styled as the father of American ballet and contemporary ballet art as a whole. He created symphonic plotless ballet in neoclassical style, where Russian classical ballet traditions and American dance genres like Jazz, modern, contemporary fit together perfectly. Balanchine said: “It is necessary to get rid of plot, set design and splendid costumes. The dancer’s body is his or her main instrument, and it must be visible”. Balanchine’s works were recognized by his contemporaries and they are still trend of a ballet art. When Sergey Diagilev saw Balanchine’s ballet, he highly appreciated his talent and initiated production of George’s 10 new works which includes Apollo Musagete on music by Igor Stravinsky. This ballet still is considered as neoclassical ballet masterpiece. Afterward Balanchine and Stravinsky worked together for a long time and stated their credo: “To see music, to listen dance”. In 1963 George Balanchine and Suzanne Farrell came to Russia within the frames of New York City Ballet tour. And now after half a century Suzanne Farrell comes back to Russia by invitation of Theatre Ballet Moscow. There will be incredible evening-dedication to a great Maestro George Balanchine for all ballet and plastic art admirers. 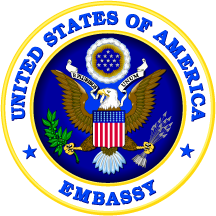 Supported by the USA Embassy in Russian Federation.